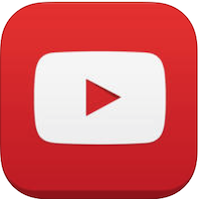 While a fully redesigned YouTube app with Google's Material Design, an emphasis on subscriptions and creation tools is coming soon to iOS, YouTube has, in the interim, issued a minor update to its current app with fullscreen playback for vertical videos. Vertical videos are videos that are shot in portrait mode on smartphones. Previously, viewing a vertical video in the YouTube app added two black bars to the sides of the video, shrinking the actual image and making it difficult to view. Now, vertical videos play in full screen the same way they were filmed, allowing users to have a better experience on mobile devices. Is it so difficult for them to add audio continues play outside the app.......?.... the most requested feature. Smartphones should've never allowed it to begin with. I don't think that the tendency for people to hold their phones vertically whilst videoing is going to go away. I do wish, though, that Apple et al would work some magic in their native camera apps; i.e. if a vertical video is sensed via the accelerometer, capture a full frame horizontal image. Hopefully this will come with 4K tech. One is less likely to drop one's phone when held vertically. As such, it is good that YouTube is making vertical video more user-friendly. What I'd like to see is Apple introducing the ability to record horizontal video when held vertical. I know there is a third party app that does this, but it would be good to see it built in. Can someone please tell me WHY they refuse to put on-screen volume controls in their app?? It's the only reason I don't use it, and instead prefer TubeEx. It may sound trivial, but it's really irritating when you have to continually search for the volume buttons when watching stuff in bed, for example. I'd say this is the most requested feature of the app.